From time to time I see some amazing, interesting or even bizarre things where birds are concerned. At first glance, today’s photos could fall into that category. 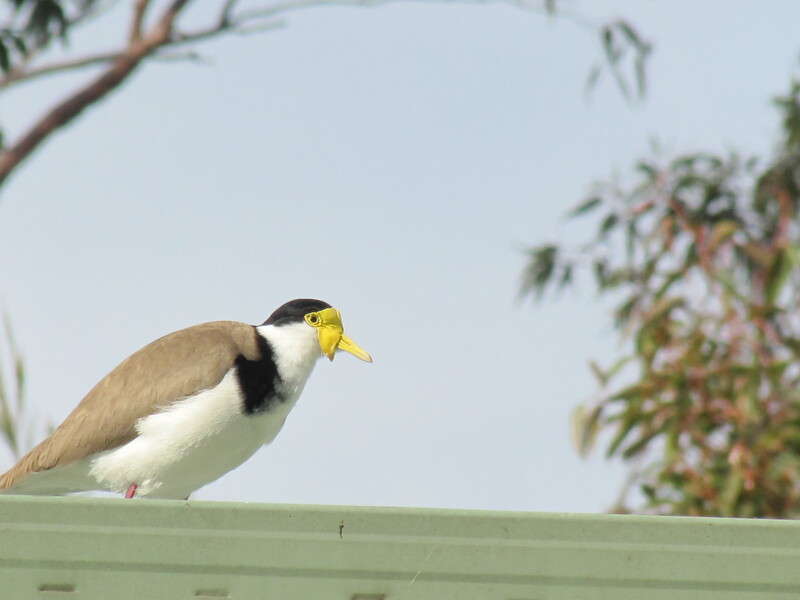 Masked Lapwings (plovers) are usually found on grassy areas – lawns, ovals and roadside verges. What is this one doing on the roof of the Australian Reptile Park (near Sydney)? Oddly enough, this is quite common behaviour with this species. 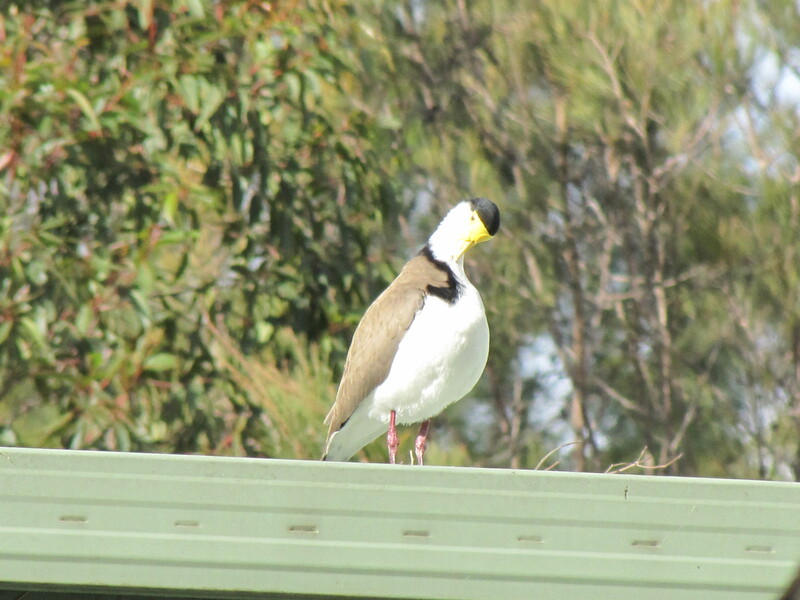 In fact, they often prefer to nest up on the roof of a house, shed, office or factory in some situations. How the little hatchlings survive the drop onto the ground amazes me; they must be quite tough little balls of fluff. Perhaps all that downy fluff helps them to bounce like a tennis ball. When you think about it, nesting on a roof is a better survival strategy than nesting on the ground like they usually do. Not only does this help minimise the threat from cats and dogs, it generally does away with interfering people and their mowers. In this case however, it is the one safe place to nest away from the hundreds of visitors to the park every day – that’s a lot of shoes tramping around on every available bit of grass. Eggs don’t take kindly to stomping feet.